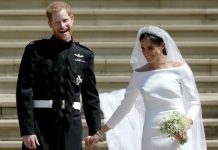 PRINCE Harry enjoys a festive tradition of partying with household staff at Christmas time, a royal correspondent reveals. 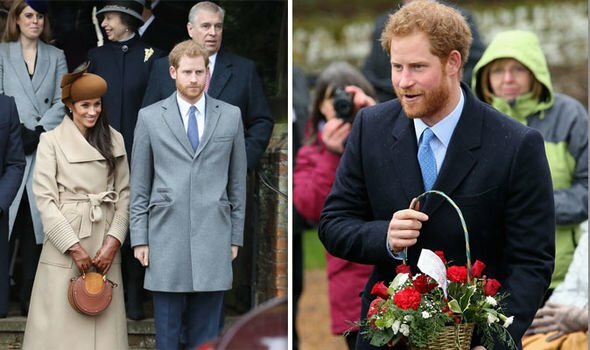 Prince Harry and Meghan Markle have joined the Queen and Prince Philip at Sandringham this year, for Meghan’s first Christmas as the Duchess of Sussex. They are joined by the Duke and Duchess of Cambridge for little Prince Louis’ first Christmas, alongside siblings Prince George and Princess Charlotte. Royal tradition dictates that everyone opens their presents on Christmas Eve, which stems from the German “Heiliger Abend” festivities. Another royal tradition which Harry reportedly enjoys is the festive partying with Palace staff. In his 2014 book “Christmas with the Queen” Brian Hoey reveals the secrets behind a royal Christmas. 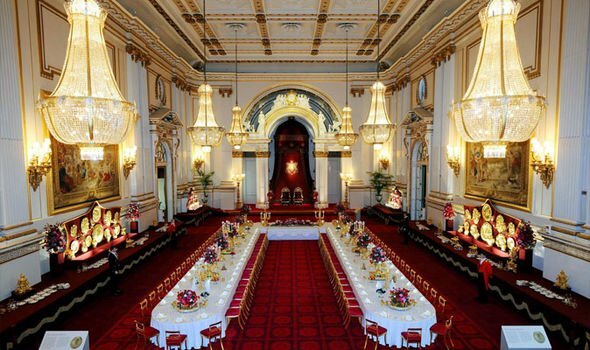 These days, the royals host a drinks party for their 426 members of staff in the State Ballroom of Buckingham Palace before the family set off to Sandringham. 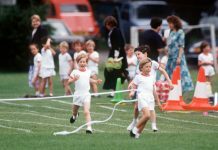 Hoey reveals how this used to be a Staff Dance for staff and their partners, which was a “great favourite” as the Queen would begin the dancing with the youngest equerry, and Prince Charles would lead out the youngest housemaid for the first dance. 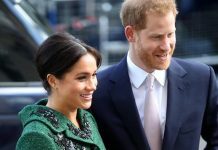 However, he says, the drinks party is “a worthy substitute, as everyone gets to socialise with the royal family and the finest wines and spirits are served with no limit imposed”. Harry is “very popular with the staff” and reportedly lets his hair down and mixes informally with staff who are nearer his age. 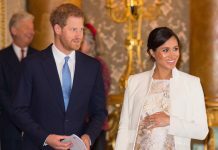 He is joined by other young royals such as Princesses Beatrice and Eugenie, however it has not been reported if Meghan Markle has joined her husband in his festive partying. 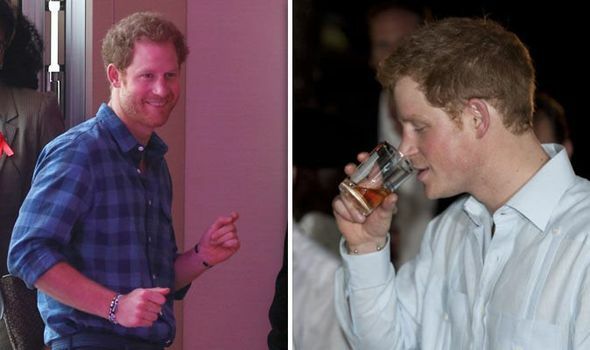 Harry also makes a habit of dropping in on more informal staff parties, too. The Queen’s favourite party “by far”, it is revealed, is the Buckingham Palace Mews party. 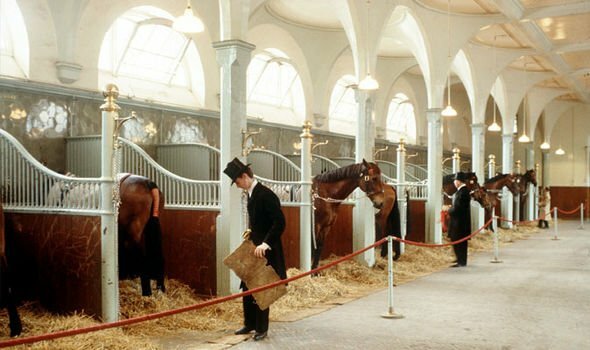 This is an “exclusive” party for the grooms, stablehands and riders in the stables, along with the chauffeurs and mechanics in the garages of the Palace. The Palace’s horses are decked out in bells and tinsel, and the the Queen’s Piper pipes in Father Christmas on a horse-drawn sleigh. At Sandringham, the royal staff will clock off around 8.15pm when dinner service has been completed. They get to enjoy a party of their own, before rising at 6.30am on Boxing Day to prepare for the traditional pheasant shooting party. 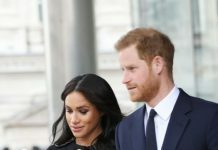 It had been reported that Prince Harry will not take part in the shoot this year, as the Duchess of Sussex has strong anti-bloodsports feelings. However, it is now thought that Harry will keep the Boxing Day tradition. Previous articleRoyal SHOCK: Can the government ABOLISH the monarchy?